RUSH: Let’s turn to the nomination of Gina Haspel. Gina Haspel has been chosen by Trump to be the director of the CIA. She’s been the deputy director for a number of years, and the way the CIA and the Department of Justice in many ways… The way they’re structured is that the deputy… At the CIA especially, the deputy is the day-to-day operations director. There is a director of operations, but the deputy director is generally the lifer who has reams and reams of CIA experience in the field, at Langley, and basically is in the know of pretty much everything important going on. There’s nobody at the CIA who knows everything going on everywhere in the world. I asked this once of General [Michael] Hayden. I ran into him at a Steelers game in Pittsburgh when he was… I think he had just left the directorship. And I asked this of Rumsfeld when he was at the Pentagon. I asked them both. I asked of Rumsfeld, “Is there somebody in the Pentagon that knows everything the Department of Defense is doing that day?” He said (laughing), “No. That’s not possible. We’re all over the world. That’s why so many things are delegated. Some of this is for deniability for the United States government, but there are a lot of highly trained people that are basically… They act as independent contractors. You won’t find them on the payroll, but they do not have to get specific permission to conduct ops. And that both surprised me and didn’t when I stopped to think about it. General Hayden, I asked, “As director of the CIA, do you know everything people have their hands in?” He said, “No, it isn’t possible,” which I understand, but it still boggles my mind. Well, now, you laugh in there but there’s no other show here that I have to be worried about what’s going on there. I know the sales effort, the promotion, the marketing efforts, affiliate relations. I know all that ’cause it doesn’t happen without me. But that’s not true in major, big-time corporations or even some mid-size/small businesses. Well, the director, the deputy director of the CIA is as close as you’re gonna get to the person who knows and assigns what’s going on in CIA, and that’s who Trump has picked. 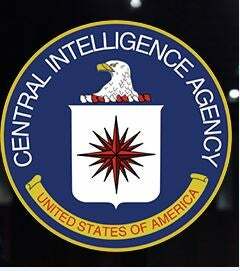 “The CIA’s first overseas detention site was in Thailand. It was run by Ms. Haspel, who oversaw the brutal interrogations of two detainees, Abu Zubaydah and Abd al-Rahim al-Nashiri. Mr. Zubaydah alone was waterboarded 83 times in a single month, had his head repeatedly slammed into walls and endured other harsh methods before interrogators decided he had no useful information to provide. The sessions were videotaped and the recordings stored in a safe at the CIA station in Thailand until 2005, when they were ordered destroyed. “By then, Ms. Haspel was serving at CIA headquarters, and it was her name that was on the cable carrying the destruction orders.” Now, it turns out that Ms. Haspel worked for a CIA interrogation specialist by the name of Jose Rodriguez, and it turns out that Lesley Stahl at 60 Minutes did a profile or an interview of Jose Rodriguez. That interview and sound bites from that interview are among my all-time favorite audio sound bites here on the EIB Network. So I would like to travel back in time to the Grooveyard of Forgotten Sound Bites. 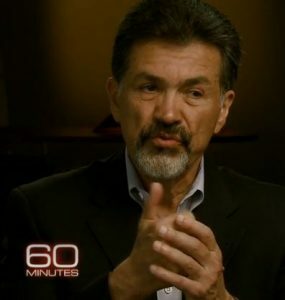 We’re gonna go back to April of 2012, CBS 60 Minutes, Lesley Stahl is interviewing… He was by then former CIA interrogation specialist Jose Rodriguez. He was the one who interrogated the big kahuna, the grand pooh-bah, the head sheik, Khalid Sheikh Mohammed, who was the actual nuts and bolts, X’s and O’s planner and architect of the 9/11 attacks. Bin Laden stood back there and took the credit, but it was this guy who actually drew up the plans. And he was interrogated, and he was waterboarding a lot by Jose Rodriguez, and it was the waterboarding that got the truth out of him. The question boils down to: Is waterboarding torture or not? Well, to McCain it is; and to Rand Paul it is; to the Democrats it is; to the CIA it wasn’t. So Lesley Stahl’s question to Jose Rodriguez — and if you haven’t heard this, you’re gonna love it. “So, Khalid Sheikh Mohammed was subjected to waterboarding, specifically 183 pourings of water in about six separate sessions.” Jose Rodriguez said the average pour lasted 10 seconds. Let me define the terms here. You’ve all seen waterboarding portrayed on TV now. They strap a perp to a bench or a table level and maybe even head down just slightly, and then they grab a rag, a towel, and they put it over the perp’s head — including covering the mouth and the nostrils — and then they grab the water. It’s in a pitcher, it’s in a glass, it’s in a large tumbler, whatever, and they pour it on the face of the perp. The perp begins to get the sensation that he is drowning and begins to panic immediately. It is said that nobody can withstand it, that nobody can survive it except this guy, Khalid Sheikh Mohammed, 183 times — and a pour is 10 seconds, means they pour the water for 10 seconds on you. Remember the reporter Christopher Hitchens volunteered to undergo official waterboarding to find out what all the hubbub was about, and he couldn’t handle even one time, he said. However, it is training for the Navy SEALs. You have to be able to survive this and be unaffected by it before you can pass. I think it’s the SEALs. It might be some other Special Forces branch. But if it’s part of training, then, ergo, it isn’t torture. I haven’t tried it. Everybody who hasn’t thinks when they look at it, “Hey, I could beat that. Just hold your breath! Just hold your breath.” But what happens is that they angle the board down just slightly, your head just slightly lower than your feet, and the water starts running down your nose. You can close your mouth but you can’t close your nose. The water rolls down your nose, down your throat, and you start gagging and spurting and coughing while the water continues to be poured into you and you end up spitting it out and so forth. RUSH: Okay. So Khalid Sheikh Mohammed slits Danny Pearl’s throat — and this was on TV. If you wanted to look at it, you could find it. He was a Wall Street Journal reporter who had his throat cut early on in all the War on Terror, and Khalid Sheikh Mohammed survived 183 waterboardings, okay? So now Lesley Stahl has that answer. Now she starts getting into the humane aspects of this, and this is where it gets funny. RUSH: (laughing) “Well, we do!” “Well, we do!” Then the question that she asked (summarized), “So… So what happens in the waterboarding business?” And be prepared to play the answer again. “What happened? Does he break down? Does he start crying? Did Khalid Sheikh Mohammed fall apart?” (replaying of sound bite) “Well, we do!” That’s 60 Minutes, and notice he is toying with her. He is acknowledging that she thinks making prisoners drink Ensure is “dire.” It’s one of the CIA’s “dire interrogation techniques.” You know, she’s just lapping it all up. Anyway, that’s the man that Ms. Haspel worked for and is now said to be unqualified. The New York Times story declares that waterboarding is torture and that this woman has happily and eagerly engaged in it. But of course we have to go back — and you can do this — to 2013, 2014, when the War On Terror… Actually even before that, before the war in Iraq, shortly after 9/11. We had Nancy Pelosi suggesting that waterboarding wasn’t enough, that if we’re gonna get serious about stopping these people, we can’t stop at such piddly little things as waterboarding. The U.S. military waterboard as part of survival training. Anyway, so that’s what she’s up against and we’ll have to wait and see how it falls out. Trump likes her. She’s eminently respected in the building from what I’m told. She’d be the first female director. For you Vince Flynn fans, she’d be Irene Kennedy. So now it’s the Democrats… Let it be known, the Democrats are gonna mount an offense, mount an effort to deny a woman — the first woman — her chance to be director of the CIA.